California has produced ideas and people who have led America in different environmental directions. Consider the mid-20th century California decisions which destroyed Los Angeles’ fine public transportation system and substituted current freeway spaghetti, balanced against 1960s and 70s California laws which pioneered energy efficiency standards for autos and appliances. Two California Republican governors, Ronald Reagan and Arnold Schwarzenegger, accentuate the contrast. Reagan became President in 1981 and dismantled President Carter’s steps towards reducing oil consumption (Reagan symbolically removed the solar panels Carter installed on the White House roof) and gutted Carter’s other environmental initiatives. Declaring “It’s morning in America,” Reagan proved that federal deficits don’t matter politically, at least for Republican Presidents, and helped foster the spending and consumption binges that continue today. We skip forward 20 years to Governor Schwarzenegger, who issued an executive order in 2005 setting a goal of reducing California greenhouse gas emissions to 80 percent below 1990 levels by 2050. 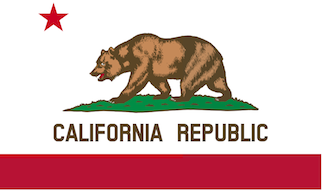 The next year he signed into law “The Global Warming Solutions Act of 2006” also known as “AB 32” which requires state agencies to develop regulations and market mechanisms to reduce California’s GHG emissions 25% by the year 2020. It was the first U.S. law designed to cap GHG emissions, and it limits the quantities utilities, refineries and manufacturing plants can legally release into the atmosphere. As a followup, in 2011 Schwarzenegger led the founding of “The R20 Regions of Climate Action,” a nonprofit, international organization dedicated to helping build a low-carbon economy. Much of AB 32’s teeth go into effect on January 1, including the state’s overall ceiling on greenhouse gas emissions and the state’s allocating the overall quantity among GHG emitters. The failure of this year’s national political campaigns to even touch on climate change and global warming suggests that implementation and continuation of AB 32 is in danger, given California’s history of leading in different directions. No other states have followed California’s movement towards a “cap and trade” program, and AB 32 opponents argue that the Golden State’s lonely efforts to slow global warming will only lead to polluters moving to less-restrictive states, and continuing there to dump whatever GHG volumes they wish into our atmospheric commons.